RTV, Inc is a premier provider of virtual tours. With our system an entrepreneur can start their own business creating 360 tours for their clients, or a real estate agent can make full screen 360 tours for their own listings. Our HD tours use the latest flash technology to display beautiful full screen panoramic scenes and still images. Our tours are interactive and allow the viewer to feel as if they are physically touring a home. This helps create an emotional connection to the property before they’ve seen it in person. This connection increases the likelihood that the buyers will schedule a showing and gives the real estate agent the opportunity to showcase the best features of the home. Our virtual tour photographers are invited to monthly webinars to help them improve their photography and their marketing and business skills. Our Image webinar is very popular, especially for those changing from a point and shoot camera to a digital SLR. Our providers tell us repeatedly how helpful our webinar information is when it comes to increasing their photography and marketing skills. Through experience, RTV has learned that some real estate agents prefer a slideshow product to an interactive flash tour. We responded by creating an HD slideshow as an alternative to our tours. These beautiful flash HD slide shows are fullscreen and can also include audio. Many agents choose to use a virtual tour and slideshow to really show their listing off to it’s best advantage. 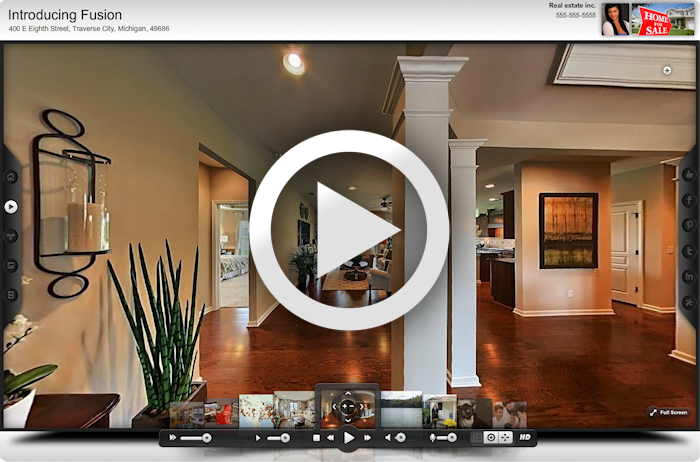 Stop by our HD virtual tour and HD slideshow gallery to view samples of what can be created with RTV technology. While real estate agents love our virtual tours they find they don’t have time to photograph their listings and create a virtual tour or slideshow. If you are one of them, and you would like to find an RTV virtual tour provider near you, click the link below to fill out a contact form. An RTV representative will contact you to ask where the listings are located that you need photographed and put you in touch with our best virtual tour photographer in the area. Our photographers are independent business owners so they will be able to give you a quote over the phone. We have photographers all over the US, Canada, and in many other countries so don’t hesitate to contact us! Find a local RTV photographer!